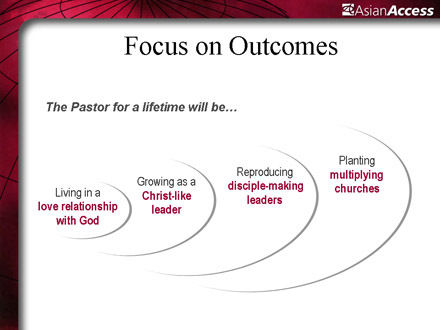 Asia (MNN) ― Recently, Asia has seen unprecedented church growth. A chief model is a Buddhist country, whose number of believers has increased from 50,000 to 1.5 million in the last decade. Asian Access is in that country as well as others across Asia. Joe Handley of Asian Access said these unfounded numbers stem from people's dissatisfaction with the current systems they are under, as well as the movement of God within their hearts. "There's a spiritual hunger in many of the countries throughout Asia ... and they realize that the religious value systems and cultural value systems that they hold are not providing the kinds of answers they're looking for," Handley said. With such growth, however, danger arises, as congregations lack proper leadership, and the leadership they do have can be corrupt for lack of guidance. This training is a two-year process whereby 12 leaders are mentored, just like Jesus and his 12 disciples. "The more you can focus on abiding in Christ and Christ-like character, the more you strengthen the church," Handley said, strengthening it enough to withstand such rapid growth and allow for even more rejoicing when more individuals find Christ. Pray for Asian Access as they continue this endeavor. Would you be interested in partnering with Asian Access as they mentor these future leaders? Visit the Asian Access Web site where you can also find out more about other aspects of their ministry.